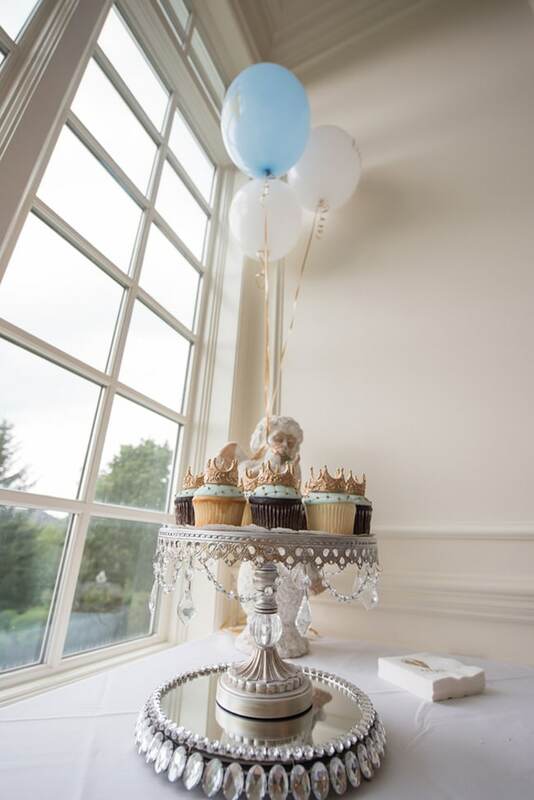 This sweet Little Prince Themed Baby Shower Sprinkle was the absolute perfect way to welcome a second baby into a family. 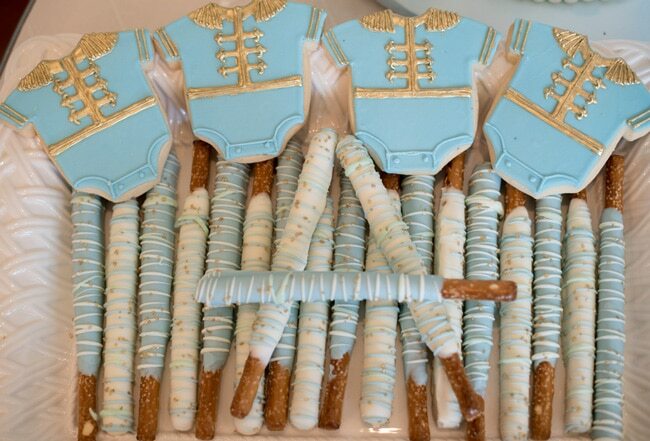 This baby sprinkle was fit for a royal baby with an amazing prince-themed cake and picture-perfect blue and gold desserts. 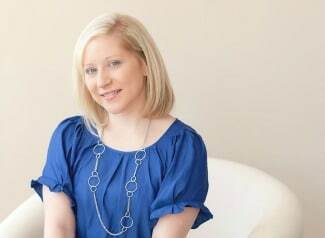 Natalie and Simon welcomed friends and family at The Johnston Tea House to help shower their second baby with love. What an exquisite welcome and everything was perfect and beautiful! The family had already decided on the name, Simon, for their new little bundle of joy. 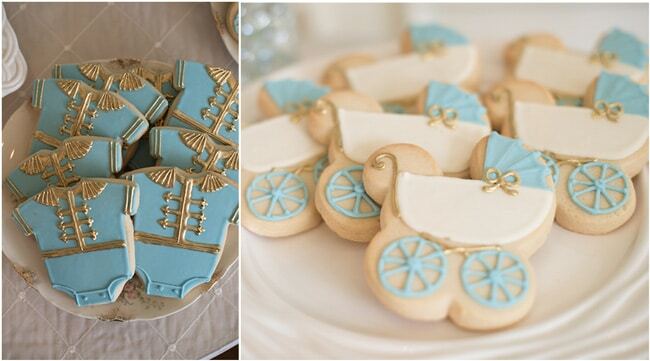 He is going to be a little prince in this sweet family of soon-to-be four! 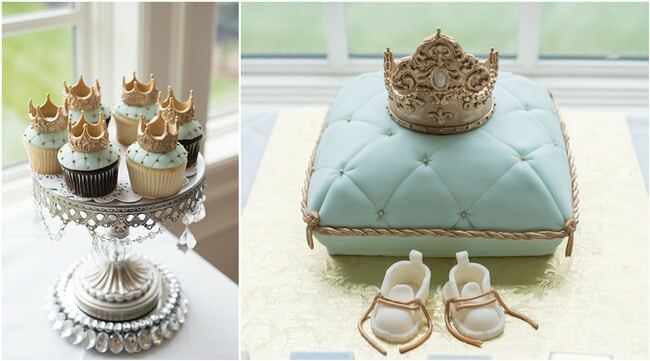 We love the little cake pillow with an adorning crown waiting for the “prince’s” arrival! 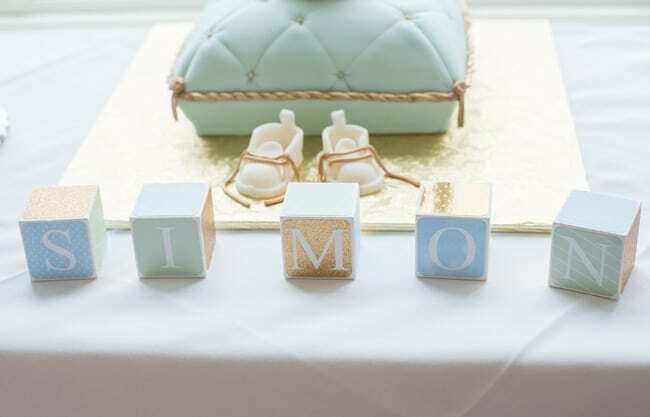 The baby’s name was spelled out in blocks in front of the cake pillow … how sweet! 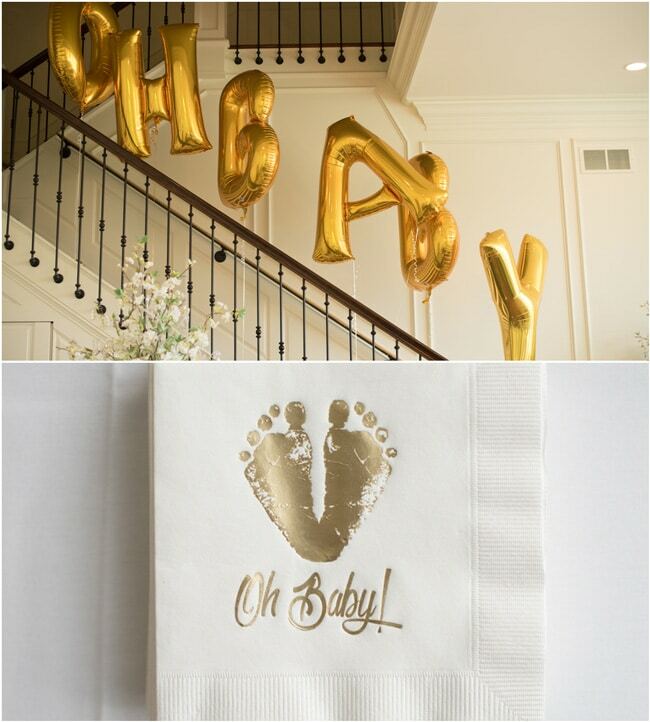 Large gold balloons spelling out ‘Oh Baby’ hung from the staircase. 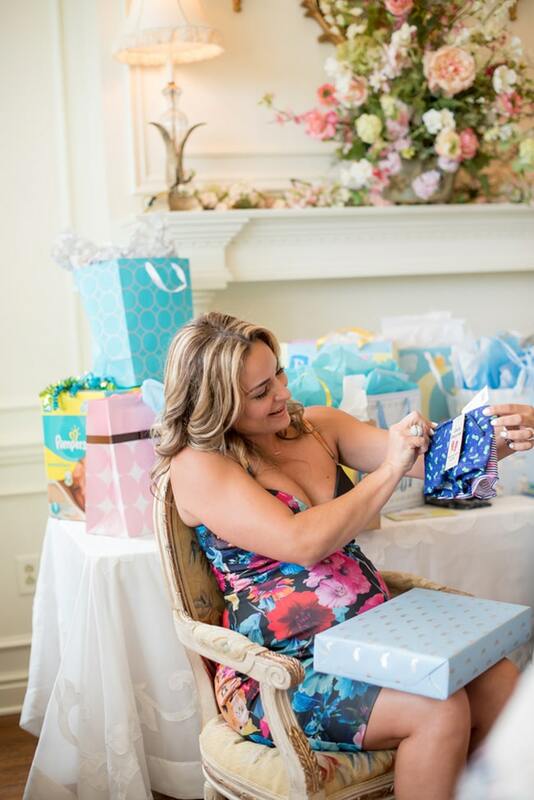 Napkins that included baby footprints and ‘Oh Baby’ were set out for guests. 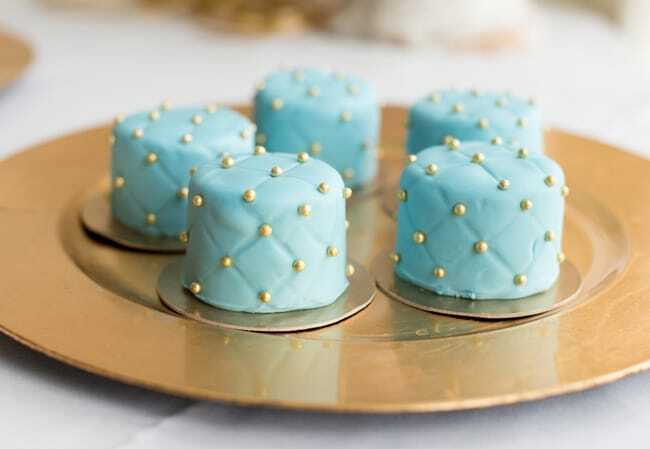 Gorgeous royal cupcakes topped with a gold crown were set on top of a gorgeous cake stand with hanging crystals. 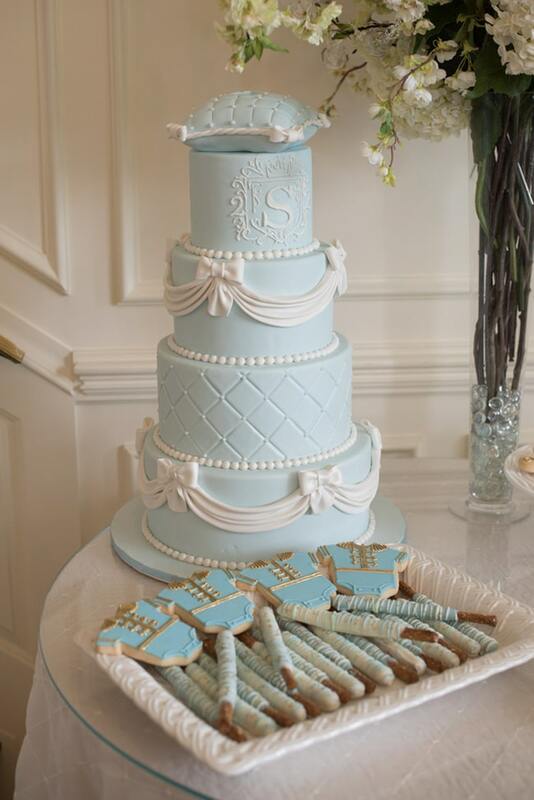 How gorgeous is this amazing cake?! What a fun and whimsical way to welcome this little guy into the world. And this cake looks delicious! Talk about decadent! 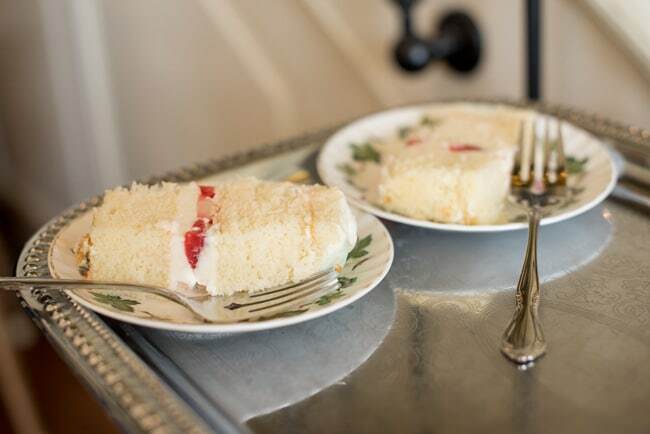 It looks like slices of cake that were cut for the guests couldn’t stay put long enough. That is always a good sign! 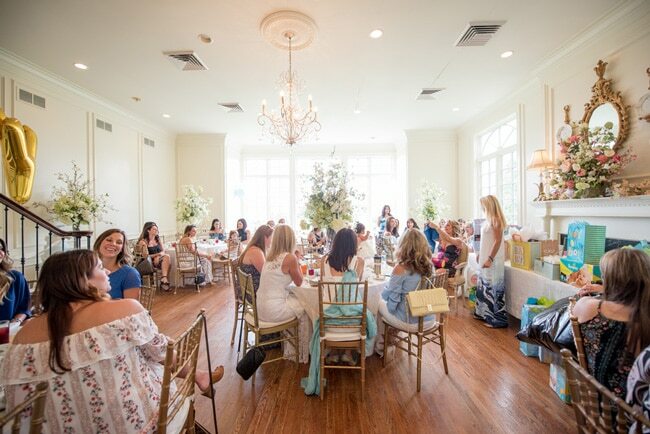 This luxurious baby shower had the most amazing desserts possible! 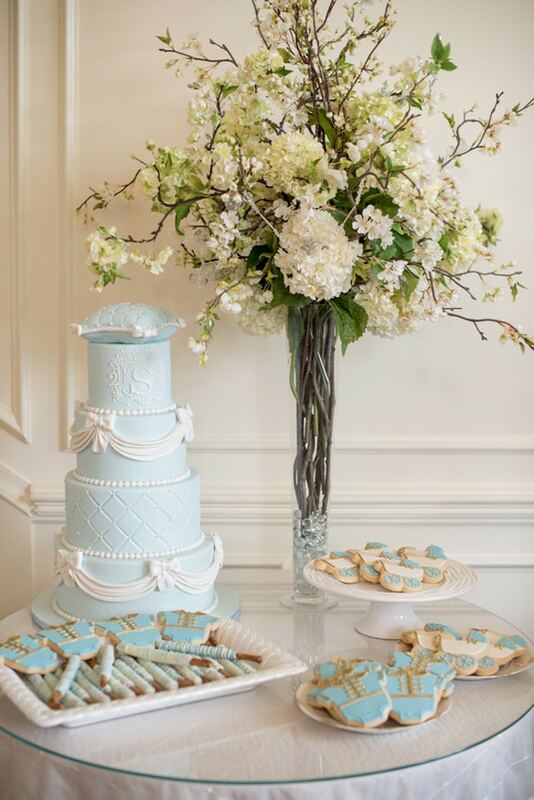 Look at those picture-perfect cookies, along with the chocolate covered pretzels. Everything looks gorgeous at every angle! We are sure this little guy is going to be welcomed into a loving and wonderful home, along with a great support system around them. What’s your favorite detail in this Little Prince Themed Baby Shower Sprinkle? Let us know in the comments below!